The ambiguous nature of carbon monoxide poisoning resulted in not just one, but 8 hospitalized on the west side of Detroit today. One child was sick when the grandmother called the 911. After treating the child, then other family members got sick in this Detroit carbon monoxide poisoning. Then the EMT’s, who unfortunately didn’t recognize immediately the source of the illness, also got sick. This pattern happens in almost every case of carbon monoxide poisoning cases that the Brain Injury Group handles. Carbon monoxide poisoning symptoms can be confused with many other illnesses. Click here for the symptoms of carbon monoxide poisoning. First one person gets sick with flu-like symptoms of nausea, vomiting and headache. Then, another person gets sick and then another. Carbon monoxide poisoning doesn’t discriminate. And if the EMT’s get sick in the short time they are at a scene, the levels almost have to be deadly. Fortunately this Detroit carbon monoxide poisoning incident happened in the daytime and the survivors didn’t just try to sleep off the symptoms. As we say on our home page, if you suspect carbon monoxide poisoning, get out of the home, then call 911. Carbon monoxide is odorless and invisible. Unlike smoke or soot, it cannot be seen or smelled. Thus, without a proper carbon monoxide alarm, only the human bodies illness response will warn those in peril. Only carbon monoxide detectors can prevent incidents like this Detroit carbon monoxide poisoning where even EMT’s were hospitalized. 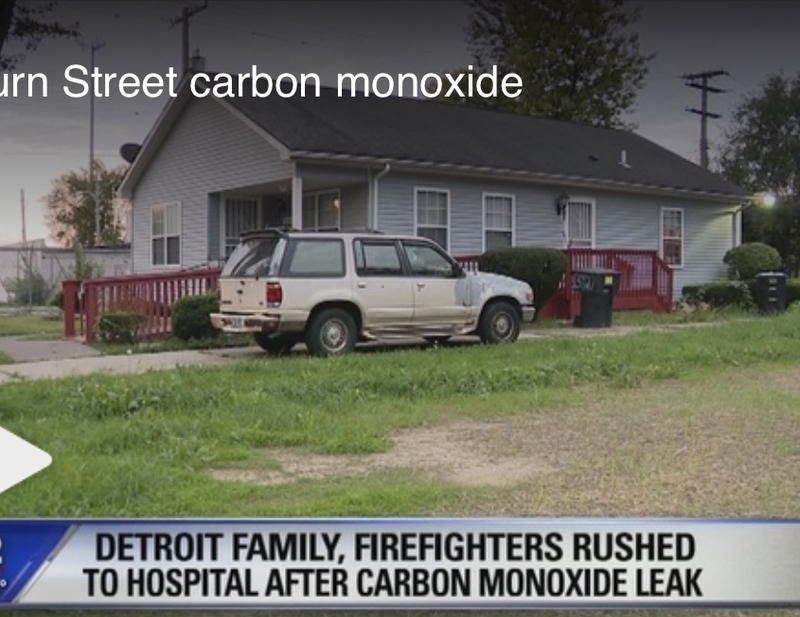 The survivors of this Detroit carbon monoxide poisoning were taken to the same hospital, Sinai Grace, that other of our carbon monoxide clients have been taken. We hope that the ER personnel do the right thing and send the whole family to hyperbaric oxygen treatment, available at Detroit Receiving Hospital. Only hyperbaric oxygen treatment can reduce the probability of long term injury, including brain damage. 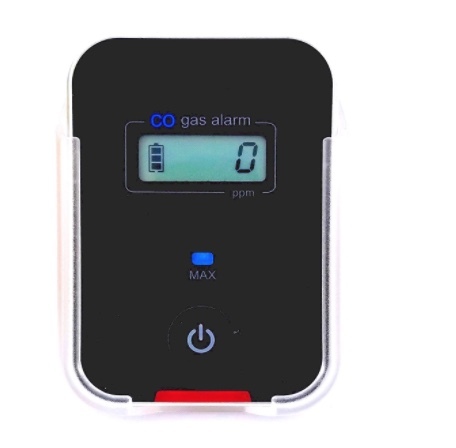 Too often, the decision to as to whether to send survivors for carbon monoxide poisoning is determined based on the initial carbon monoxide level in the blood. Carbon monoxide in the blood is called carboxyhemoglobin, abbreviated COHb. While the decision to send someone to hyperbaric treatment often is made only is a COHb level is above 25%, that determination is wrong. Almost half of those with COHb levels above 10% will suffer permanent brain damage. While hyperbaric treatment doesn’t eliminate the risk of permanent brain damage, it is the only thing that can be done to prevent brain damage in the acute phase after the poisoning. The reason the Brain Injury Law Group is focusing on carbon monoxide poisoning is that permanent brain damage is the most significant long term risk factor for those who survive carbon monoxide poisoning. For more on brain damage from carbon monoxide exposure, click here. The Brain Injury Law Group has represented more than 100 survivors of carbon monoxide poisoning, including other Detroit survivors. Our representation of the survivors of carbon monoxide poisoning has included two settlements above $10 million in the last two years. Our current cases include cases in Detroit, Chicago, Orlando, Denver and Wisconsin. It is important to retain an experienced carbon monoxide law firm almost immediately in a case such as this. In order to recover in a carbon monoxide poisoning, it is necessary to prove precisely what wrongdoer has done wrong. That requires the preservation of evidence. Not just from a landlord, but also from management companies and HVAC companies. Lawsuits should be considered against ownership of the properties where this occurred. Management companies may have been responsible for maintaining the property. Furnaces and hot water heaters are often maintained by outside companies. All of these parties must be promptly investigated by lawyers who fully understand the laws, the science and the engineering of carbon monoxide poisoning. Click here for more about Attorney Gordon Johnson.